Are You Part of the Affiliate Market Industry Problems? I’ve spent the last month helping kids practice junior high speech team, and one of my jobs each week is to find quotes for them. I came across one this week that made me think about our industry. Like any industry, ours has a lot of problems but not anything that can’t be helped. We face governmental issues like the FTC and their disclosure guidelines or states passing nexus laws. We deal universally with challenges like ad blocking and the reputation of affiliate marketing. The one string that connects the problems is that none of them can be dealt with successfully by individuals. They all take group effort. I’m not saying that every one of us needs to become a lobbyist and spend our time fighting in Washington for the betterment of the industry. What I am saying is that if you are not doing at least SOMETHING to make the industry better and you are making your living in this industry, you are doing so on the backs of all of the other people who ARE working to keep us all in business. Share posts where other people have already done the work. You’re probably reading great stuff about SEO tactics, FTC disclosures, etc. Someone else put in a lot of time to write that for you and isn’t making any money off of you reading it. Take a minute to share the posts to help drive some traffic to their sites. Comment in support of the people who are working on these issues to let them know you back their efforts. Volunteer to help others on even a limited basis. There are a number of Facebook and Slack groups for affiliate marketers where simply answering someone’s questions will help us all. Or how about the Affiliate Summit Newcomer Program? Vote when given the opportunity. 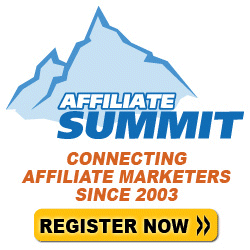 Tell Affiliate Summit what you want to see presented and what would help you grow your business. Make sure the PMA Board of Directors represents your interests. Stay educated about everything that is going on. Burying your head won’t make any of it go away. Subscribe to the FTC website for updates or use Feedly to notify you when prominent affiliate marketers write about these issues. Take surveys that measure our industry. This includes things like the AffStat Survey and AffiliateBenchmarks. Being able to measure and quantify our industry helps legitimize it. You don’t have to be an activist or a lobbyist or even a blogger to help our industry. You don’t even have to be a leader. You just have to acknowledge that you are benefiting from the work of others and lend your support where you can. What other ways can you think of that you can help be a part of the solutions to the problems facing our industry? Imho, there has been & still is quite a HUUUUGE problem w/ (a mind-blowing#) of bloggers, vloggers, etc.. to this day.That problem, being just how many of ’em are ‘affiliates’ that provide affiliate links w/ corresponding personalized/discount codes (codes they are SURE to mention.. &usually more than once.. in their posts/videos) Affiliates, however, who usually provide those codes w/ the link (many.. even using bit.ly codes.. think I read on your site, actually, which aren’t even good to use; mess up tracking w/ vendor, if not mistaken?) at the end of their blog post, right on their FB/ig post w/ pic… &/or wayyyyy down in the drop down description box of their video (another big NO-NO, in itself) Thing is, they provide little to no (most zip, zilch, nada)… as far as any “disclosure” statement of ANY kind, goes. Might just say something like, “PRODUCTS: (indicating those used in video, for example) followed by a listing of the item names, then “**Use DISCOUNT CODE: “AMANDA10” for 10% OFF your order!! *** & the coded or bitly link TO… Then that’s IT. A few might have at the VERY end, much further down, after a bunch of other thingamajigs & whooseee-what’s-er filler… “ftc: affiliate links may be provided” (??? whaaaat the….) No where near their item… the code.. & not even a good/decent disclosure. Way worse tho, imho, & speaking of ‘item’… SO many never indicate anywhere IN their description, be it on top (ahem, where it should be) OR further down, at all…. let alone (the worst part imho) the fact that even more don’t mention it whatsoever IN their video…. having received the product FROM “x”…. 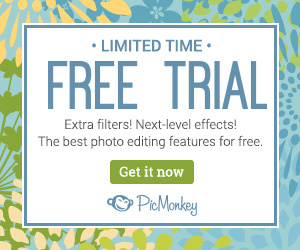 FREE, for the purposes of a review… or anything even remotely similar, close… nothing. They don’t say it… don’t have text on screen, nothing. With just how many they are, I started thinking, yeesh…. am I wrong here? Maybe we DON’T need to anymore? It gets worse, yup… sure does. Barely any.. sometimes.. nah’, rarely EVER… do they post on IG/FB etc. use text &/or say in their videos… when that video/them/product being shown has not only been sent, yadda yadda… but is also being “sponsored”. That they’ve received $$$ to mention, promote, advertise, speak highly of, what have ya. Furthermore, them knowing full-well that there is quite the negative air around the whole “sponsored” mention, that… they try to be sneaky about it imho (some don’t even care since… ? so what.. nothing happens. Better & more profitable, imho.. they don’t mention it, don’t bother… ‘eh, worry about that later “if”. I mean, nothing happens anyway (in their minds/experience) Many have been doing it that way FOR years &.. ? nothing! Better just to take the risk, right? By not having boundaries, accountability, consequences, imho, it pretty much just “encourages” that truly deceptive behavior & practices!!! Becomes less & less of a “Jeez.. how could they… why would they??…. & a LOT more just a case of, “Psssh…. well why the hell WOULDN’T they?? ..ya know?) Either by using some inappropriate or sneaky wording (again tho, even “IF”… it’ll only be wayyy down in description box anyway) Rarely to ever…. ‘sponsored’, ‘promotion’… ad…. is mentioned OR written, noted in any way. Plus, now you even have companies (who imho already do things SO back-asswards.. using these, idk.. ‘reps.. influencers.. ambassador….” aka free sales.. marketing… doing that for them & to a very specific target audience. Some product =way cheaper than a tv ad, magazine promo to a much wider audience!! They put all this attn on being 1st, getting their name out there, promoted.. & give the best products to them… + the best deals to NEW customers.. neither of which have supported that company OR gotten them to where they are, financially. Ironically, the ones paying their bills, supporting their company, buying their products…. AND the ones watching, clicking, buying… & paying the same bills for the person SHOWING that product… are all the loyal, long-time customers spending their hard-earned $$$$… being put last! Customer loyalty, brand loyalty, cust svc.. means NOTHING these days. Furthermore, its those paying customers.. those viewers paying their ad-sense…by watching, trusting in, buying= the ones getting screwed over, lied to, tricked, jipped & ripped off… again & again! Customers can’t even get their PAID orders to arrive on time, make it into the package.. let alone BUY any of the free swag, extras, limited edition this or that, clothing…….. being thrown x 1000000… at all these people making videos, lying to their viewers. Brands.companies that on top of it.. get around the whole “paid” aspect (in a way) by not tying anything to a specific product, yet…… taking certain people on 10000% all-inclusive, top-notch, =o OMG, extravagant to the max.. private jet, yacht, bungalo ON the water… full of the ENTIRE line of products…. for them & a guest!? Incredible meals, excursions, backpacks on board waiting, full of stuff…. Dinners w/ presentations of more products, prizes, an iPad.. back in the room a custom suitcase w/ a DRONE inside… Sure… just for being such a grrrreat person! Whatever marketing genius thought it was a good idea to past all that footage publicly all over the place…. should be fired imho! What paying customer isn’t going to go absolutely crazy over seeing ALL that ridiculousness extravagance & the huge free-for-all, basically? Rewards weren’t even the word.. talk about a HAUL & a half.. They would’ve needed 3 extra suitcases to take all that home (then again, were prob given those too!) Won’t be envious, angry… wonder why they are still waiting for their order due a week ago?…. Highly praised, arrives & is garbage quality? Phew…. people were furious! Someone walks in & gets talked into getting this new cable service, for example…. can pay like, say.. $29/mo for cable, same for internet… (keeping in mind each at the HIGHEST level, fastest, all channels, equipment etc) & pays that for 2 yrs. Someone = unknown history, etc.. Some stranger who hasn’t supported said company or even paid 1 bill yet, gets the lowest possible, unheard of $$$ just to get ’em in the door!? Yet, despite calling every year (them being only provider in area, lets say) & even dropping EVERY extra service… After that initial 24 mos. dropped EVERY movie channel & now has just BASIC cable… BASIC internet.. Why is it that loyal customer who has been supporting company “X” & paid every bill on time for >10+ yrs…. For the last EIGHT, has had to pay FULL price & not a penny less… an insane, $175/mo? Something definitely not right there. Mentioning because it’s a good example of how they are all run these days (most) back-asswards. ALL way more worried about getting the NEW customer, then keeping those they have OR treating them right. The “treating them right” tho, extends to feeling even worse, when those you look to for reviews, for advice, for guidance in one direction or the other…… also cannot be trusted. 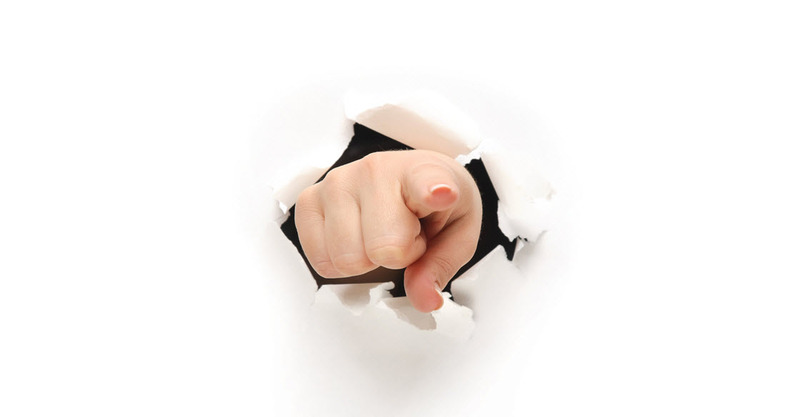 To some, that is… lots have no idea, so it’s not even a known, obvious “tsk tsk”. to many…. Coming off even more deceptive imho! I don’t ‘get’ why they can all keep getting away with not disclosing these “AFFILIATE LINKS”……… “FREE PRODUCTS”…… “SPONSORSHIPS or PAID reviews”…… Idk how they’d deal w/ the whole “TRIP loophole”… Guess they’d prob have to mention it w/ any/everything under that brand then, huh? Yeesh…. HAD to be a good.. IDK.. $10+k per (+ got to bring a guest who got same treatment, swag, products, haul, ETC!) so $20k.. wow! (am doing it so ‘wrong’ I guess… See, then again, i couldn’t! Damn my parents & their integrity… this damn moral compass they gave me; that I can’t seem to avoid, no matter how much I want to sometimes! lol) My sincerest for the rambling/run-on’s & novel. Just hard to explain & wanted to get across the entire situation (boyyyyy did I do that & then some?! Again, sry! =p) Thanks for the wealth of info.. such a huge help! 😉 Live long(ER) & vape on! Hi Tricia, thanks for creating this awareness on your blog. Unfortunately, the biggest problem the affiliate marketing is facing is the fact that a lot of the affiliate marketers are not even aware of the existence of some of the problems you have just highlighted. Take for instance, how many of us know that we are supposed to be a part of the PMA and pay our dues? The more awareness is created the more people get to know of the challenges in the industry, their roles and how to be a part of the solution. We have our own ways of helping others at our individual levels. I have even spoken with one of my co-freelancers today, on the the need to join affiliate marketing and even offered to give him all the assistance he needs to get started. My blog currently provides reviews on quality affiliate programs across the web. I believe any intending affiliate can even take some clues from there. I have not done all I feel should be done. But reaching out to a site like yours has also given me insight into what else needs to be done. I am subscribing to your mailing list to enable me get updates from you whenever you make new publications. Thanks for a nice job. Have a pleasant day.